Cleanses, removes make-up and purifies your face all in one! 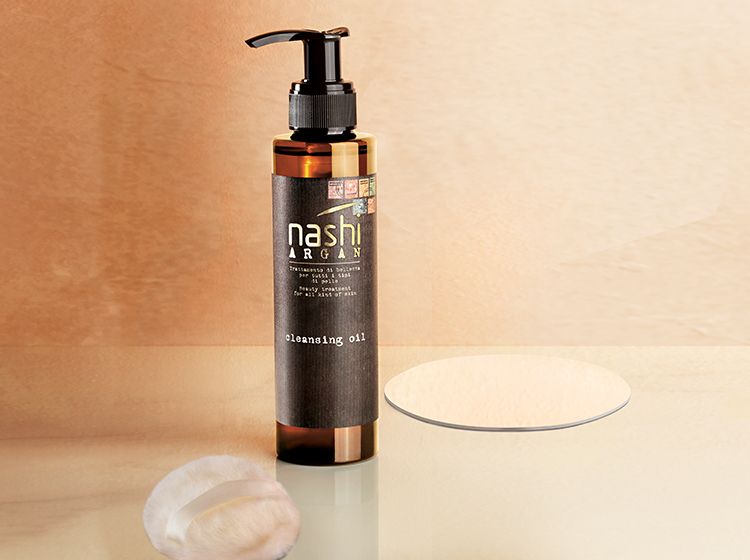 Nashi Argan Cleansing Oil is a cleansing make-up remover in oil texture which transforms your facial cleansing routine into an irresistible beauty ritual. Its precious oils produce a silky emulsion which wraps you in a gentle massage, effectively removing make-up and impurities and giving your skin on the face, neck and neckline a gratifying sensation of well-being that you will never want to stay without! Cotton pads and aggressive wipes become a thing of the past, the only thing you will need are your hands, water… and a couple of seconds! Cleansing Oil is perfect for even the most sensitive skin: its mild formula with no soap, sulfates, silicones or mineral oils gently and effectively removes make-up and impurities in the most sensitive areas of the face, like the eyes.